Introducing the Rangers’ deadliest enemy yet: Lord Drakkon, an evil alternate version of Tommy Oliver harnessing the powers of both the Green and White Rangers. The Command Center has fallen! After the attack of the Black Dragon and Zordon’s disappearance, Rita has overtaken the Power Rangers’ home! With Tommy and Billy stranded in a dystopian future ruled by an evil Power Rangers named Lord Drakkon, the rest of the Rangers must find a way to not only free the Command Center from Rita’s grasp, but rescue their friends from a terrible fate! The Rangers face their toughest challenge yet in Mighty Morphin Power Rangers: Year Two as Zordon’s absence leads to new allies and new villains, as Lord Drakkon lays the groundwork for a revolution that’ll reverberate through all of Power Rangers history. Writer Kyle Higgins (Nightwing, C.O.W.L.) 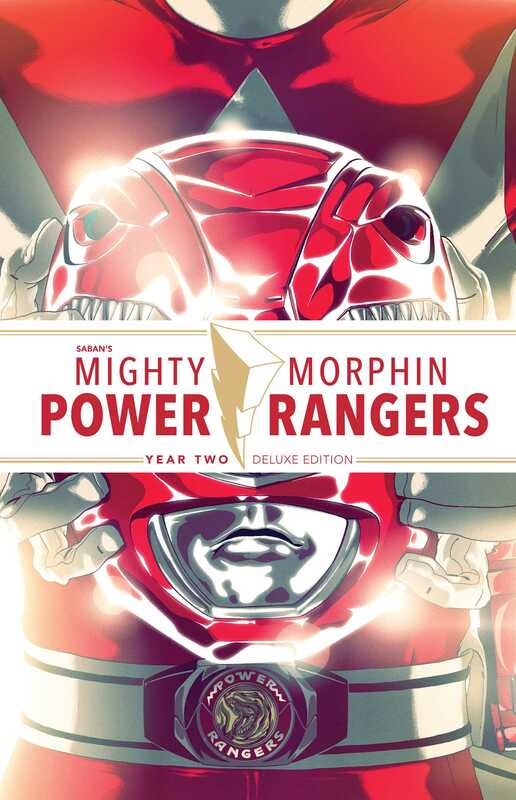 and artists Hendry Prasetya (God Complex) and Jonas Scharf (War of the Planet of the Apes) continue to redefine the legacy of the Mighty Morphin Power Rangers.